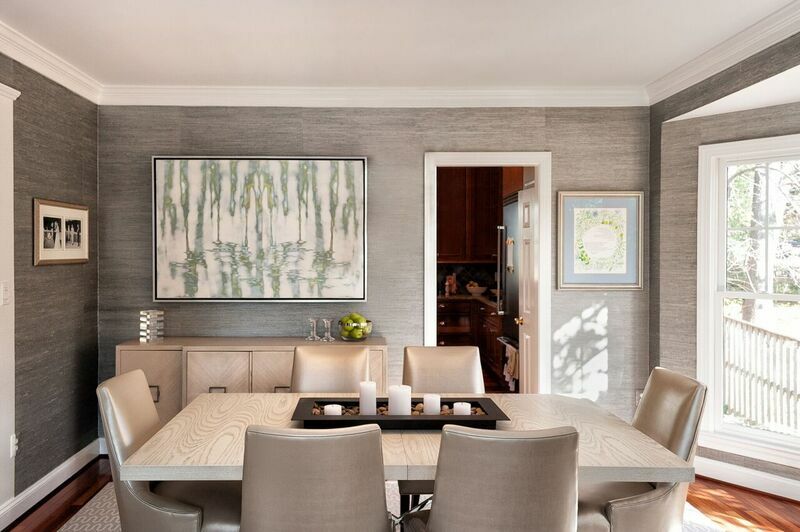 The distinctive silver walls in this charming dining space establish a foundation of texture and character in the room. Illuminated by the natural light pouring in from floor-lengh windows, this room offers a bright, calming atmosphere. Audra Weaser’s “Wander” parallels the fluid motion of the woodgrain-patterned dining table, while offering a fresh palette of light green and misty white. The perfect work of art to finish off the interior with balance and tranquility!